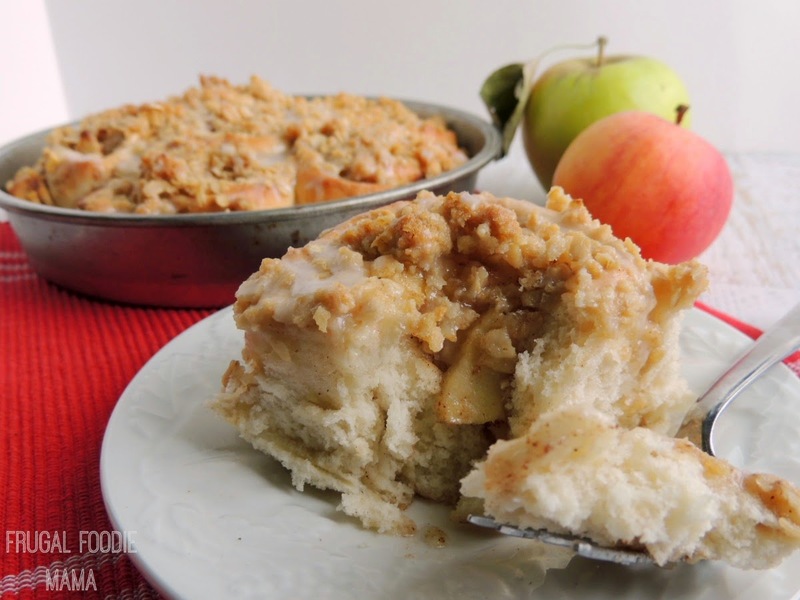 In partnership with the folks at Lunchbox, I am sharing this recipe for a holiday dessert classic- Apple Pie A La Mode. All opinions expressed below are my own. When it comes to holiday baking and hosting guests for the holidays, you can just never go wrong by serving the classics. From hot cocoa with marshmallows to frosted sugar cookies to classic apple pie, the holiday classics are always sure to please and to disappear quickly. 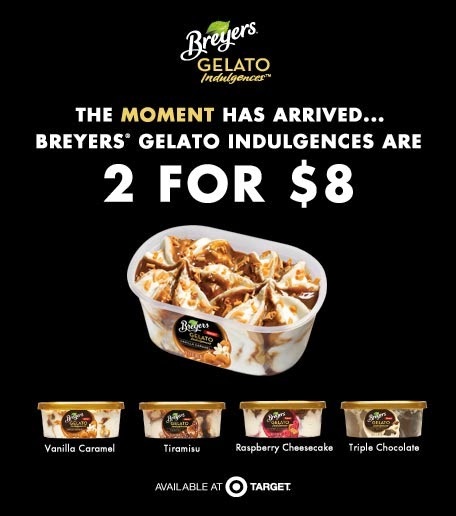 Alternative to the vanilla ice cream & caramel sauce- just top with Breyers Gelato Indulgences in Vanilla Caramel! Combine 1/2 cup sugar, flour, cinnamon and salt in large bowl. Add apples and lemon juice and toss to coat. 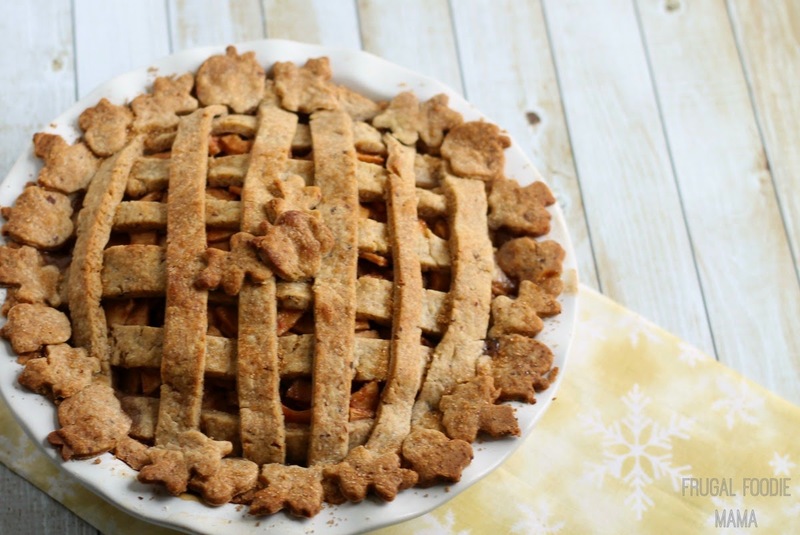 Arrange apples in prepared pie crust, mounding in center. Place second crust over apples and press gently to adhere to lower crust. Fold overhanging crust over; flute edge and cut a small hole in center to vent. Chill 15 minutes. Preheat oven to 425 degrees. Brush pie with egg wash. Sprinkle with remaining 1 tablespoon sugar. Place on baking sheet in the lower third of the oven. Bake 15 minutes. Reduce oven temperature to 350 degrees. Bake additional 1 hour to 1 hour 15 minutes, until apples are tender, filling is bubbling and crust is golden. Cool on wire rack before serving. 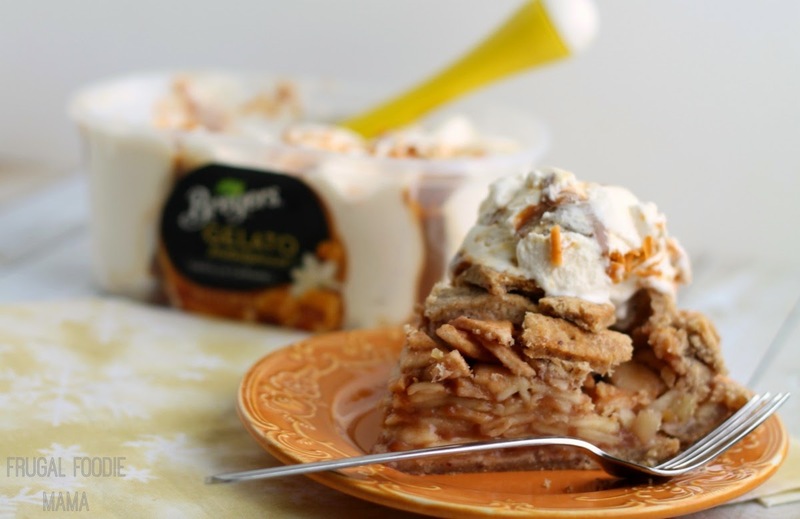 Top with Breyers® Natural Vanilla Ice Cream. 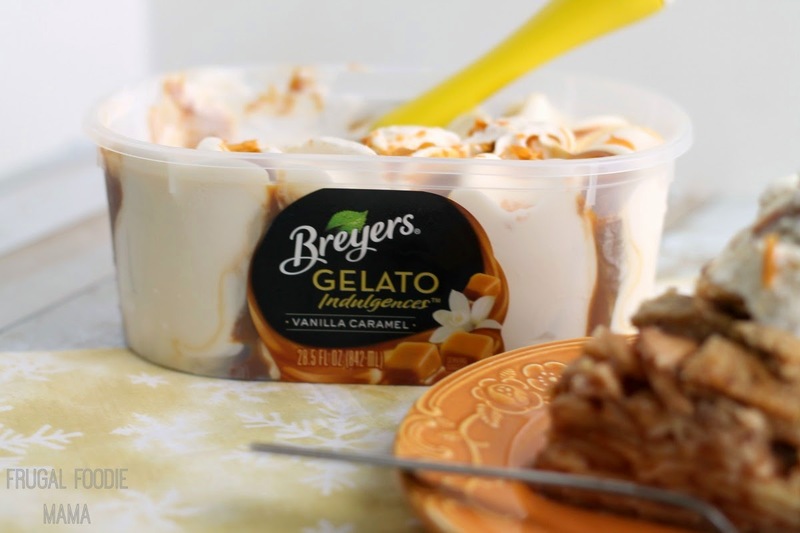 Drizzle Breyers™ Caramel Flavored Ice Cream Sauce on top and serve, or with a big ole scoop of Breyers Gelato Indulgences in Vanilla Caramel. **Recipe courtesy of Target.com- click here to see the original recipe. Keep the pie crust cold until you are ready to bake. Once you have filled the bottom crust with the apple filling, set it back in the fridge if you are planning on doing anything fancy with the top crust like doing a lattice. 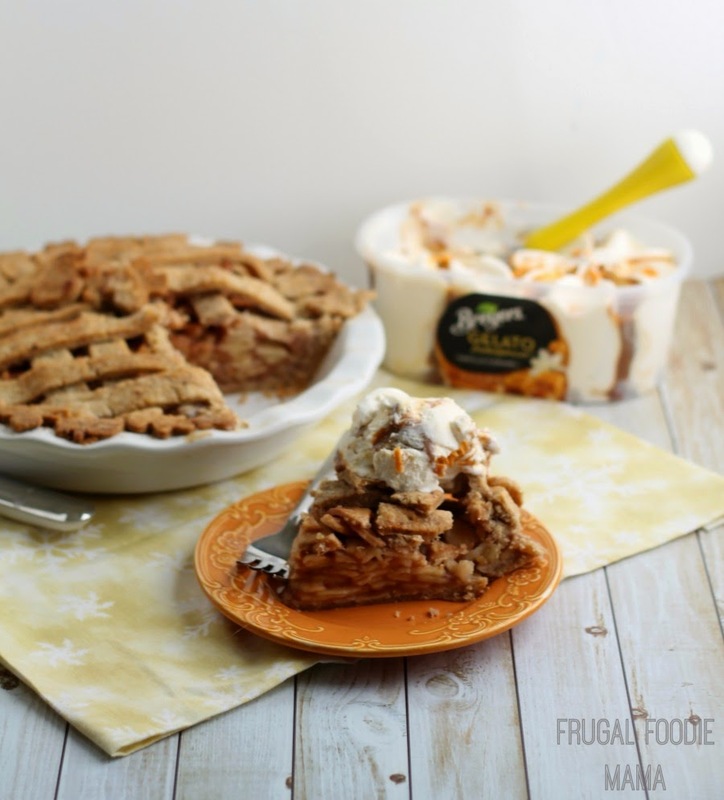 Use a pie crust shield! It keeps the outer edges of the pie crust (or those fancy pie crust cut-outs) from browning too quickly. Do remove the shield during the last 15 minutes or so of baking. 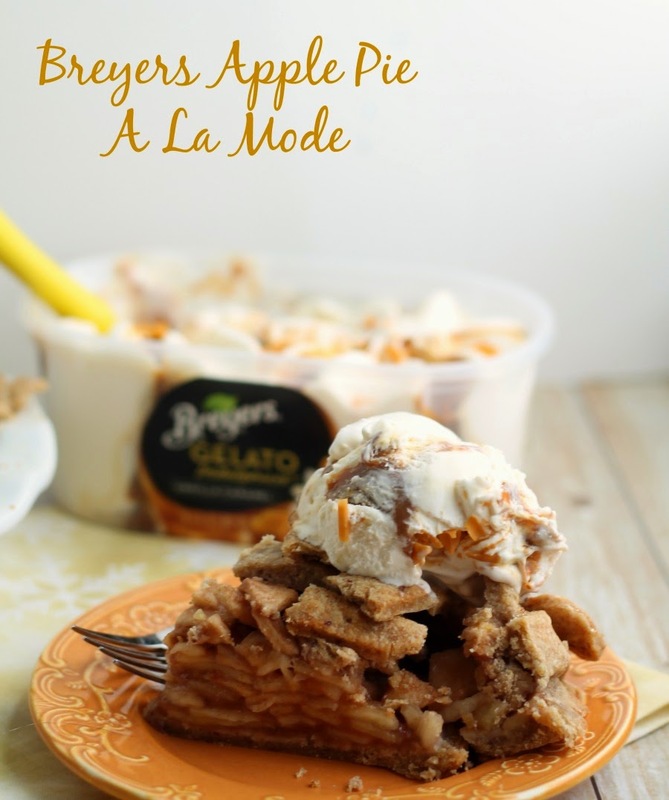 Whether serving for dessert after a holiday dinner or with coffee while spending an evening with friends, this Breyers Apple Pie A La Mode is sure to be a classic holiday treat that everyone will love. *See in-store for details. Offer valid until 1/3/2015.